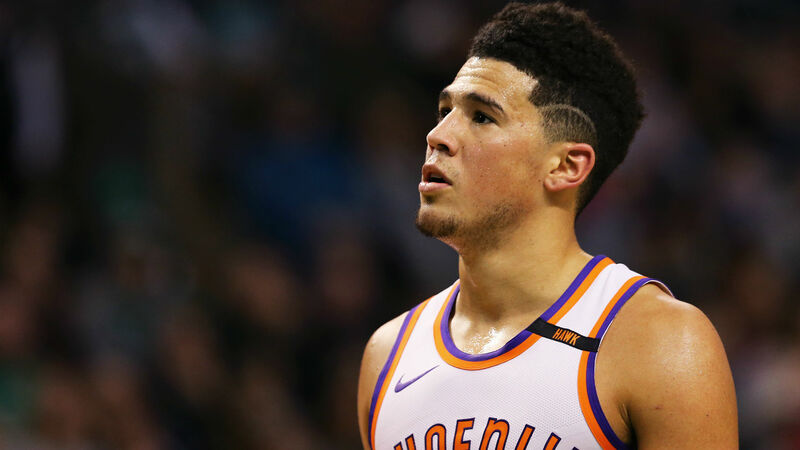 Suns star Devin Booker will undergo surgery on his hand next week and is out indefinitely, according to a report from Arizona’s Sports Station 98.7 FM. The 21-year-old guard originally injured his hand in mid-March and missed the Suns’ final 12 games last season. He is likely to miss the start of training camp, which is set to begin at the end of September, the report says. Booker signed a five-year, $158 million contract extension with the Suns this offseason. Phoenix opens the regular season Oct. 17 against the Mavericks.